Ready for an awesome sandwich to round out your weekend? My Italian melt will be enjoyed by kids and adults alike. Plus y’all I have a secret weapon — I am also going to teach you how to use up leftover hot dog buns. I don’t know why I always have a few left in the package. You too? Don’t want to see them go to waste? Then follow along with this recipe. I was lucky enough to have Oscar Mayer send me a package of their new lunch meats to play with and I must say they MAKE this sandwich. 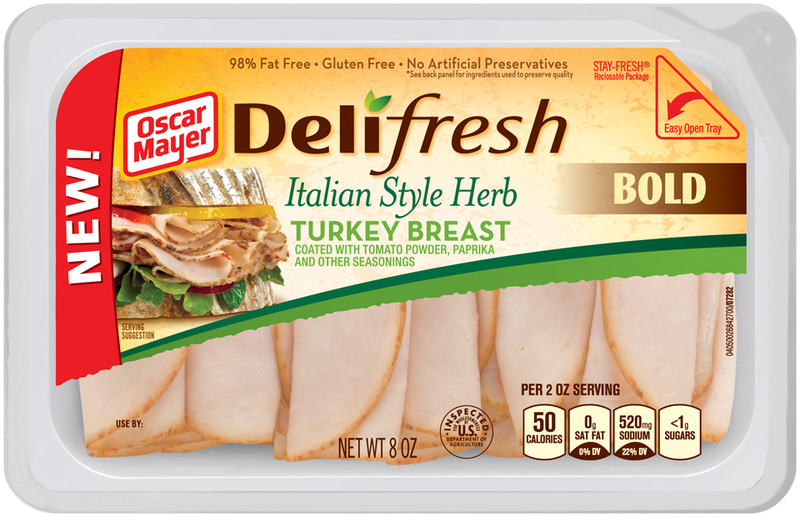 I received the Italian Style Herb Turkey breast in my package and dove right into experimenting with flavors. Each package of Oscar Mayer Deli Fresh BOLD has no artificial preservatives and no artificial flavors as well. First gather your ingredients including those leftover hot dog buns! 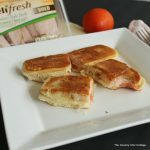 You can also absolutely make these using regular bread, hoagie rolls, or any other sandwich bread you have laying around. I did that as well and it was just as amazing! Layer ingredients on a hot dog bun. Melt a little butter over medium high heat. Once skillet is preheated, cook sandwich over medium high heat for 2 to 2 1/2 minutes per side. 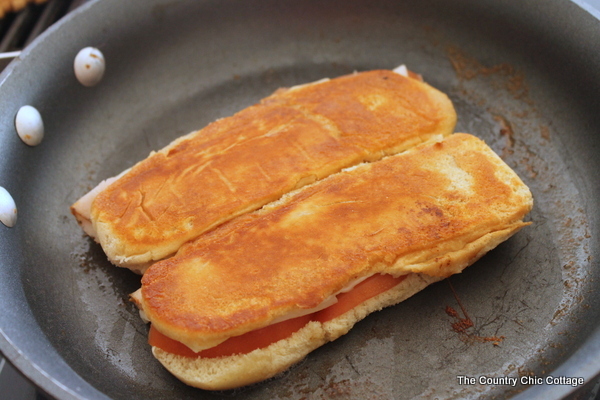 Push down sandwich on both sides with the back of the spatula while cooking. Remove when brown and crusty on both sides. Cut in half and serve. If using regular sandwich bread or rolls, double all ingredients. The image above is the ingredients stacked on the hot dog buns before cooking. Then cook in a skillet as shown in the image below. Now my mouth is watering for another one of these fabulous sandwiches. The Oscar Mayer Deli Fresh BOLD really makes this sandwich. That both Italian flavor will leave you wanting more. Oh and it is also good straight out of the package. (I wonder how I know that????) 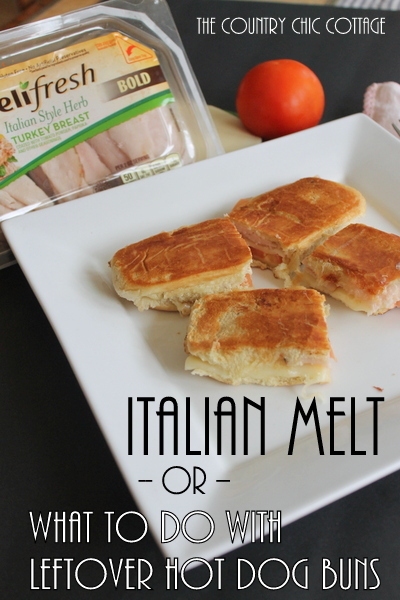 Make this Italian melt sandwich this weekend for your family. A great excuse to use up those leftover hot dog buns. Y’all also be sure to follow along with Oscar Mayer on Twitter and Facebook. Now I’m starving!! Looks so delish! Lawdy honey, I’m 64 years old and raised 4 kids inventng ways to use leftover hot dog buns and making different sandwichs. Congratulations, by putting it on your blog so others can save a little also. Never thought much about when I did it, but shared the idea with other moms in my circle. Mmm…I had to read this right at lunchtime, huh? I love chipotle anything, so I bet this is awesome. What a great idea! 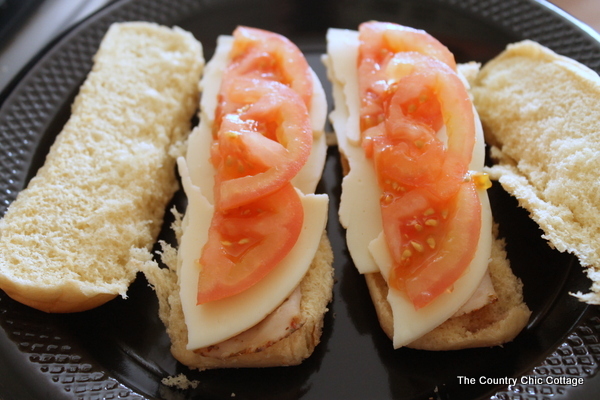 I’m always looking for ways to use up leftovers, and “fancy” sandwiches are always a hit at our house. We’ll have to try this! Looks yummy! We always have leftover hotdog buns and this is a great way to use them up. 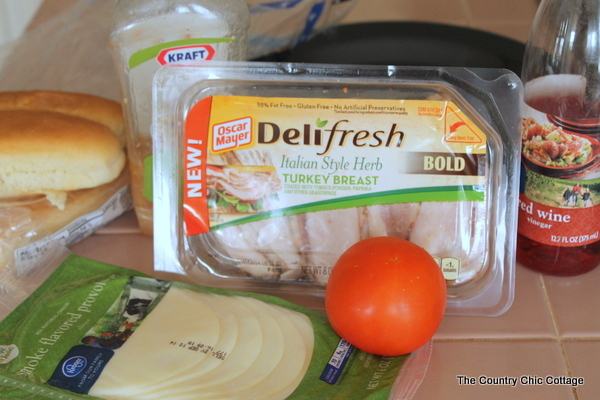 I have this exact turkey in the fridge right now, definitely making this for lunch tomorrow!